In ten short days (@$!#ing CA waiting period) this will be mine. 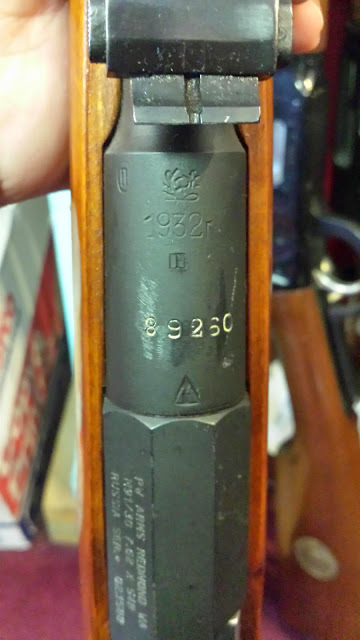 An M91/30 hex receiver Mosin in great (for a Mosin anyway) shape. All serial numbers match, but it is unfortunately missing its bayonet. I'll be acquiring another bayonet to replace the missing one, but it just won't be the same as the original bayonet would have been. Even so, this is still a pretty good find.